CLASS is pleased to announce the ‘MySBI’ mobile app has surpassed 10,000 downloads! 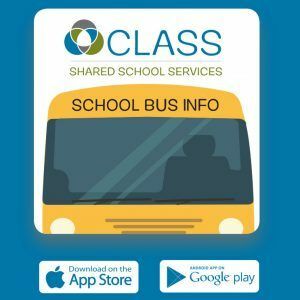 CLASS was first in the province to launch a dedicated mobile app to push notifications of school bus delays and cancellations to our students, parents, and stakeholders. The MySBI app is available on both Android & iOS; more details are available at www.MySBI.ca. Please be sure to subscribe to the *Inclement Weather* notification to receive alerts in the event of fog or snow days. EcoSchools UpdateFirst Ride Program – date and location announced!